Today I worked on the landing gear leg fairings. The parts are beautifully molded but you have to be careful to assemble them without any twist. A small mis-alignment can induce a measurable twist with very little pressure. 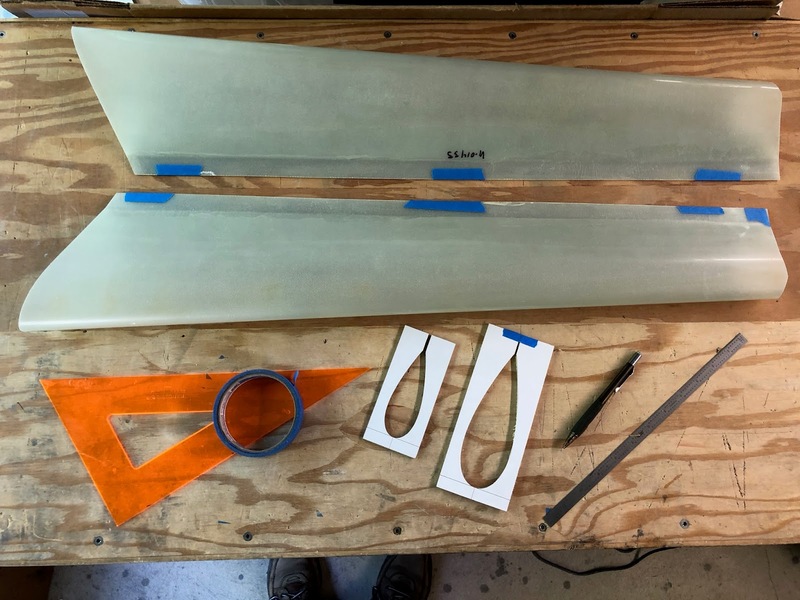 The manual suggests jigging the fairing on a table and measure with a square from the leading edge apex to the trailing edge with a square at both ends. The problem with this method is that it is difficult to find the leading edge apex. 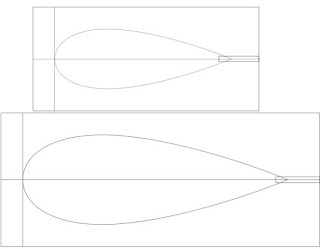 It is not marked or scribed and the position can vary depending on how you hold the fairing. I wasn't happy about the results using Van's suggested measuring method so I built some alignment jigs. First I had to draft the templates. 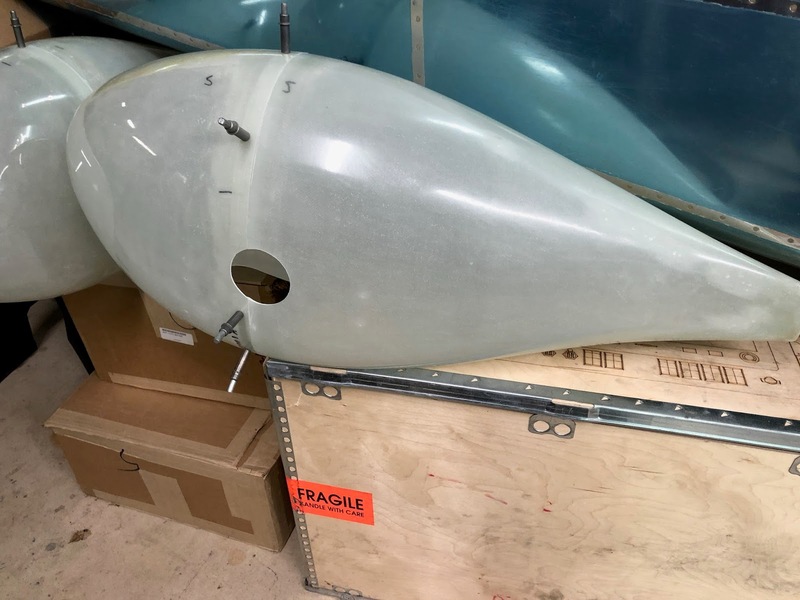 I guessed that the fairings use a NACA symmetric airfoil. 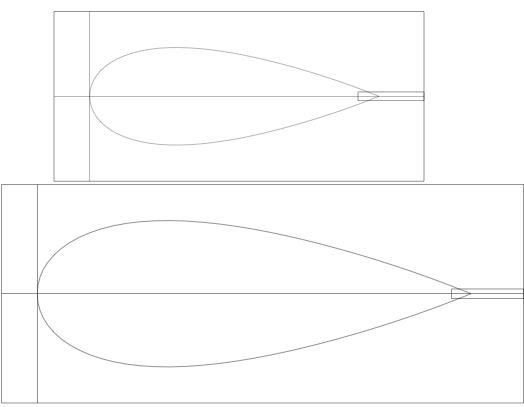 I went to my favorite airfoil web site: airfoil tools plotter and input a guess at the dimensions to use for the maximum thickness. 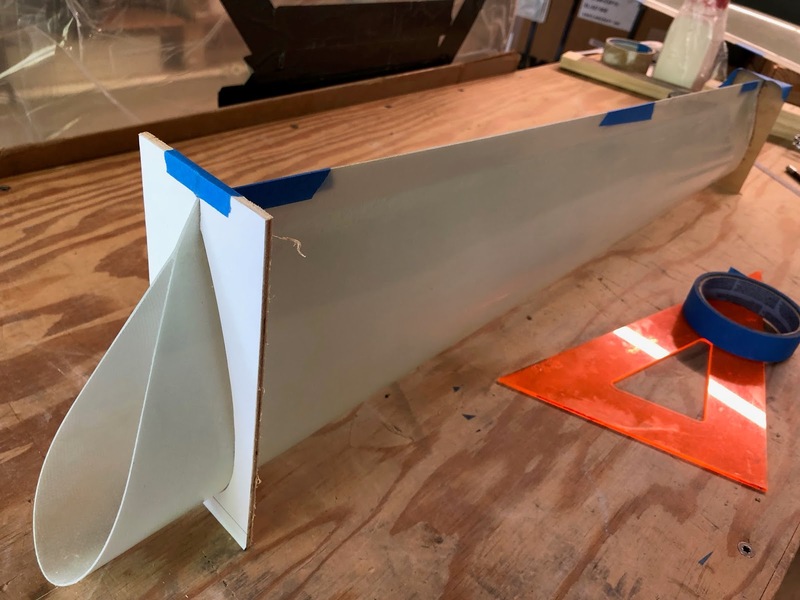 Unfortunately, the maximum thickness allowed for 4 digit NACA airfoils is 30% and the section used by Van's is more like 40% (to accommodate the gear leg tube diameter). I plotted a NACA 0030 and then scaled the height to get to 40%. 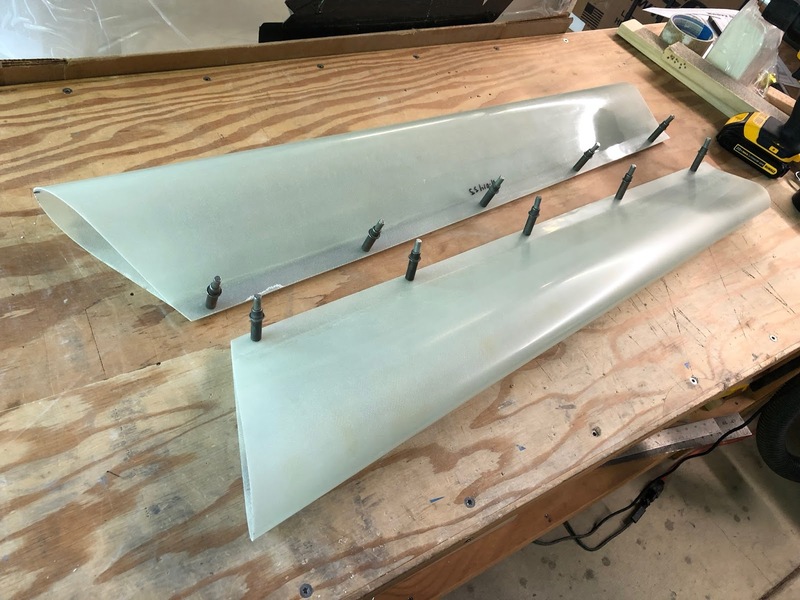 The result doesn't exactly match the section used by the fairings but it is close enough for jigging. I added a box, axis lines and a cut out at the trailing edge to complete the jig design. The jigs slip over the fairing at either end. I taped the tops of the jigs to ensure a tight fit. Then I aligned and squared the center lines of the jigs on a line on the table and made sure they were both sitting flat on the table. This forced the fairing into alignment with no twist. Then I taped the trailing edges to preserve the alignment. Then I was able to drill 5 #40 holes and put in clecos. To finish up today, I cut the holes for the axel on both of the wheel pants. I marked out the holes following the dimensions given on the plans. Then I used a 2 1/4" hole saw to cut a slightly undersized hole and used a sanding drum to sand to final dimensions.